Drupal Commerce officially came out in August, 2011 as the successor to Ubercart, which is also an e-commerce platform for Drupal. While developed by the same group of people, Drupal Commerce provides more of a framework for e-commerce solutions when compared to Ubercart which can be seen as more of a plug-and-play solution. In the early days of Drupal Commerce, documentation was sparse, and unless you were a seasoned Drupal developer (and arguably a Drupal 7 core contributor who understood the new entity framework) using Drupal Commerce required overcoming a steep learning curve. Drupal Commerce (and its documentation) has come a long way since then and as such, provides new integrations and pluggable features. 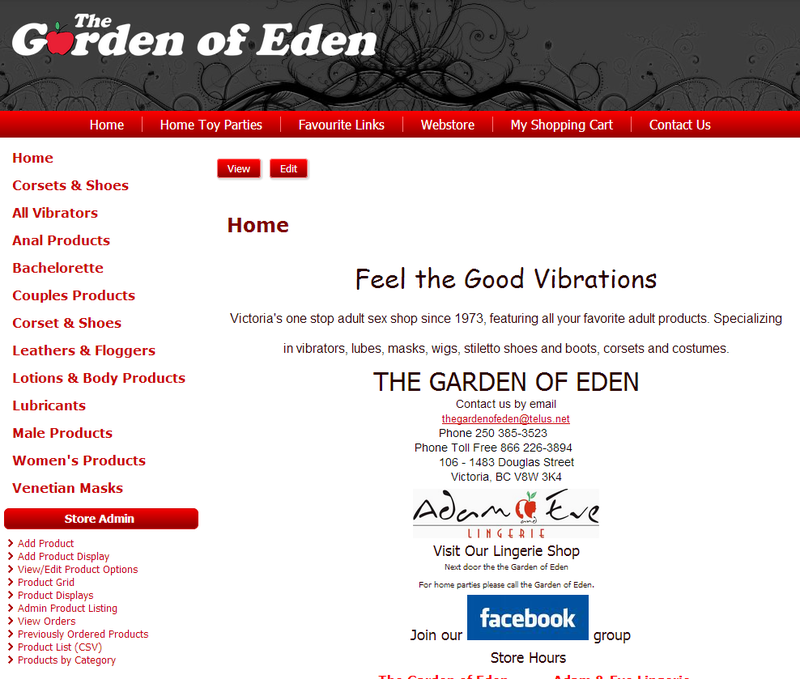 The Garden Of Eden was an early adopter of Drupal Commerce and for 2 years has been using an underdeveloped solution with great success. Morrison Multimedia Inc. was contracted to update and improve the usabilty of the website for administrators and managers. While maintaining everything existing about the website, new features and workflows were introduced using new Drupal Commerce modules (specifically commerce_bpc), that allow easier website and product management. Managers can now vary product options together on a single item, instead of having to create multiple products each with the different options. Time and money can be saved! Going above and beyond, Morrison Multimedia Inc. also refreshed the theme and images used on the site making it look that much more professional. If you are interested in using Drupal Commerce to sell your products online, or need to make it friendlier for your users and managers, contact Morrison Multimedia Inc. today and have a conversation about the possibilities.